Last month, the TDP had pulled out of the NDA after the Centre expressed its inability to grant Special Category Status to Andhra Pradesh. New Delhi: Andhra Pradesh Chief Minister N Chandrababu Naidu met his Delhi counterpart Arvind Kejriwal on Wednesday, amid his attempts to rally support for the no-confidence motion moved by his party TDP against the Centre. The TDP leader discussed the issue of Special Category Status and the "injustice" met out to his state by the Centre during the meeting. 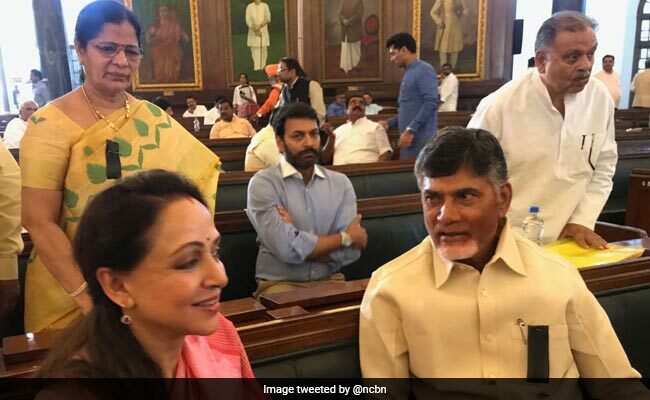 "The Delhi chief minister said he would offer support to the TDP through members from his party in both houses of Parliament," Telugu Desam Party's Rajya Sabha MP C M Ramesh told reporters. Last month, the Telugu Desam Party (TDP) had pulled out of the NDA after the Centre expressed its inability to grant Special Category Status to Andhra Pradesh. Mr Naidu's party also moved a no-confidence motion against the Narendra Modi government over the issue. Chandrababu Naidu met a number of leaders from several parties on his visit to the Parliament. The AAP has four MPs in the Lok Sabha. Since his arrival in Delhi on Tuesday, the Andhra Pradesh chief minister has met leaders from the Congress, Samajwadi Party, Bahujan Samaj Party, AIADMK, DMK and Shiv Sena to drum up support for his demands. The meetings were aimed at garnering support for the no-confidence motion against the NDA government. Mr Naidu also met National Conference leader Farooq Abdullah, Sudip Bandyopadhyay (TMC), D Raja (CPI), V Maitreyan (AIADMK), Anupriya Patel (Apna Dal) and Ram Gopal Yadav (Samajwadi Party).